Here’s a proper look at the Zodiac Sea Wolf which we took an all too brief look at, last year. 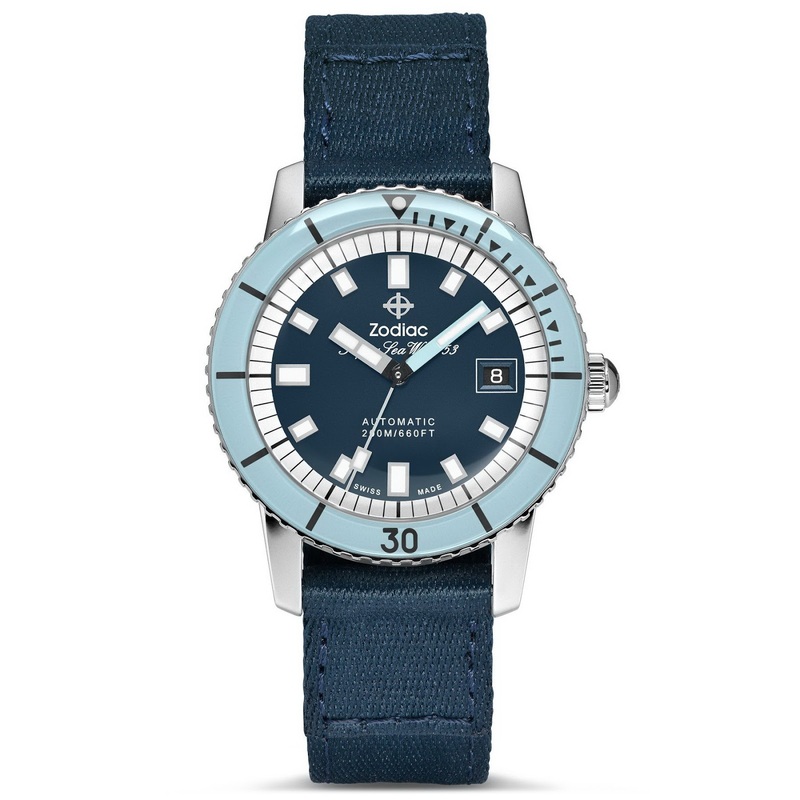 Zodiac have in the last couple of years been absolutely smashing it with a string of re-releases of historic models of which this is the latest. Delivered in four equally striking dial / bezel combinations, the Super Sea Wolf joins the SSW 53 Compression LE, SSW 68, SSW Skin and SSW Skin 53. Imo this is by far the best looking of the bunch. 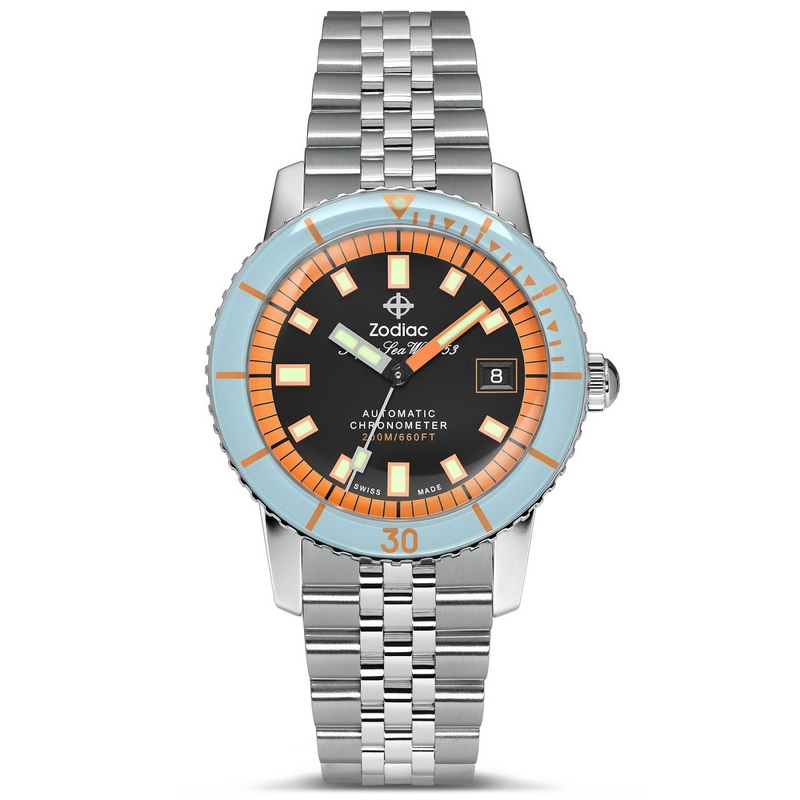 The Super Sea Wolf from ZODIAC has a case is in Stainless steel measuring 40mm in diameter by 11mm thick and is water-resistant up to 200 meters. 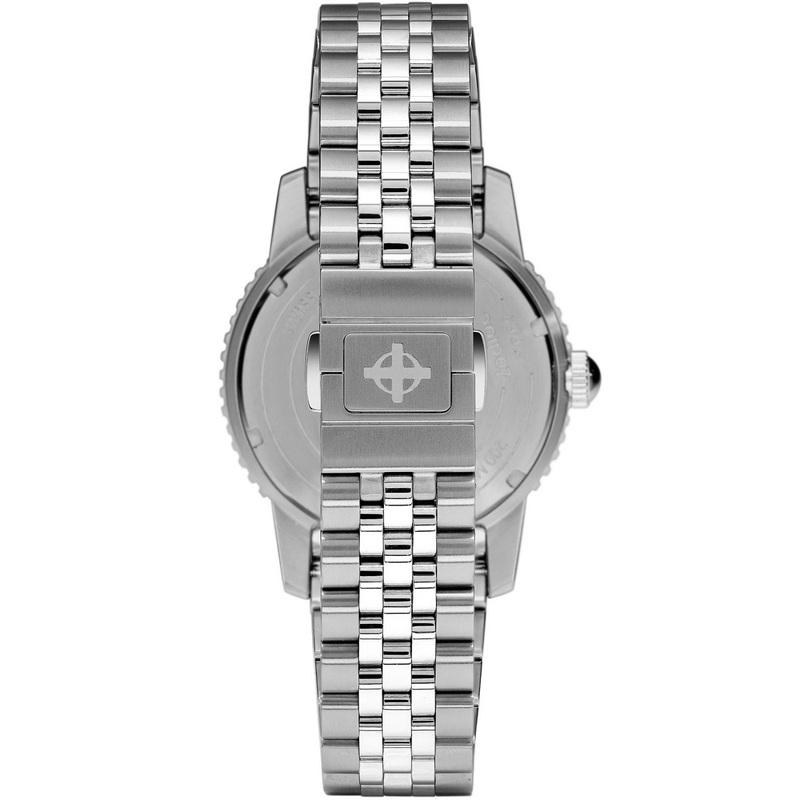 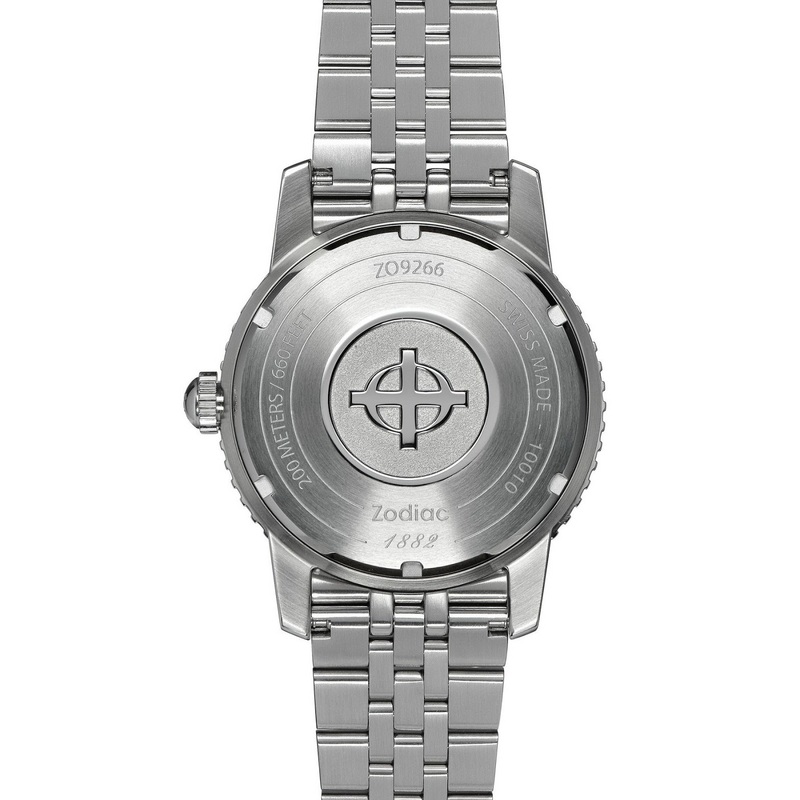 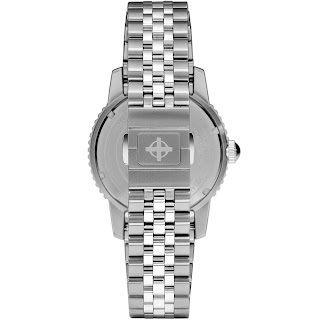 It is powered by an STP 3-13 automatic movement with a date window at 3 o’clock. 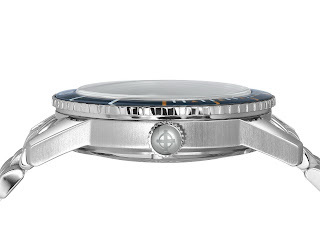 Divers features include: an anti-reflective-coated Sapphire crystal, a screw-down case-back and crown and divers bezel. 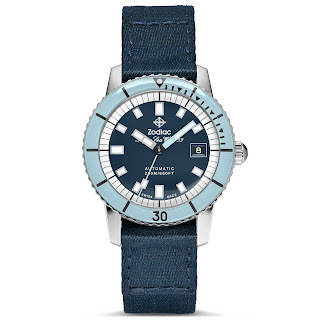 The bezel looks like Sapphire but I really am not sure tbh. 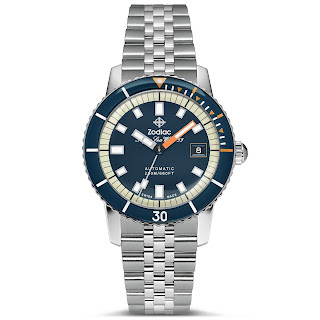 Its dial is with luminous block-hands and markers, and is presented on either a 5-link bracelet Stainless steel diver’s bracelet or NATO strap. 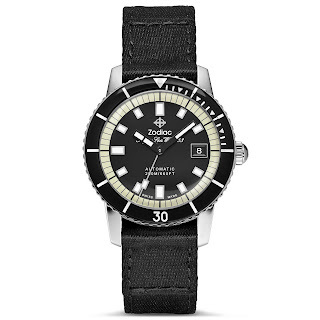 Prices start from 1195USD NATO – 1395USD Ss. 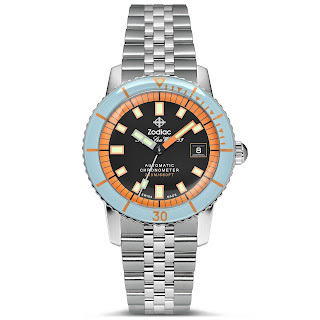 Thoughts favorite is dark blue on dark blue with orange hand – you?